Now lets not beat around the bush, Bath simply is a cut above the rest. With its bespoke cobbled streets and hidden alcoves, the city boasts beautiful attractions and activities that you simply have to go and see. The breathtaking city of Bath attracts visitors from all over the globe and rightly so as this world heritage centre offers Georgian architecture and vintage chic designs, with all this charm you can’t not enjoy your time in Bath and you will be blown away by the choice of activities you will be offered. The entire city is covered by the status and the main reasons are: the Roman Archeology, the hot springs, Georgian town planning and the green setting of the city, as a hollow nestling in the hills. World heritage sites are places of global significance which tell the story of our cultural evolution and natural beauty. It’s vital that their conservation for the appreciation and education of future generations is upheld and maintained. So assuming you’ve the great good fortune to pay a visit to Aqua Sulis (to give it its Roman title) what is there to see? One thing’s for sure, the city has something to offer young and old from the world famous Roman Bath’s to the Jane Austen Centre and pretty much everything else in between. Bath boasts a shopping centre to rival most major cities as well as many fine restaurants and bistro’s, but the diversity of attractions really does set it apart from its counterparts. 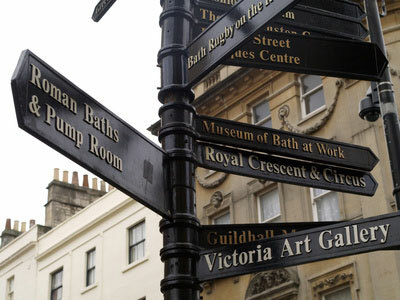 A visit to Bath should take in the following venues if possible, top of the list has to be the aforementioned Roman Baths but a visit to the Herschel Museum of Astronomy , Bath Abbey, the Fashion Museum and Thermae Bath Spa should all feature on your itinerary where possible. There are many ways to get around the city with daily walking and sight-seeing tours readily available. Bursting with so much for the visitor to see and do why not explore the beautiful surrounding countryside by walking or cycling or even by boating -perhaps better suited to the summer months. If that doesn’t take your fancy then you must get on the red sight-seeing bus that stops at all the sights you simply have to see and if you have any euro’s left over they will readily accept them. Bath, quite simply is exquisite.